Straight after I started my blog series about sharing books with my baby daughter – Reading with Felicity – she pretty much lost all interest in books. She was about four to five months old and from chatting to other mums I knew this wasn’t true of all babies. In fact around the same age some of my friends were saying that their babies were starting to snuggle up during their bedtime stories – enjoying the cuddle time even if not getting to grips with the intricacies of picture book plots. Snuggling up for bedtime stories is practically the pinnacle of my idea of contented motherhood so I was a little sad that Felicity was more interested in whacking stuff and, at sixth months, crawling everywhere. Any attempt to read a picture book was met with firm wriggles and trying to escape from my lap, over enthusiastic readings of rhyming books that she loved when really little were not as fun as trying out her new crawling skills. Bedtime stories got borderline hilarious in their lack of interest from her. We’d decided to read the same book every night before bed, partly so if she really did hate it as part of getting ready for bed (sleeping has never been her favourite thing), then it would hopefully just be Goodnight Moon that she disliked rather than books generally. This was not an unmitigated success. Perhaps the lowest point of book before bedtime was reached when Will had to read Goodnight Moon whilst (gently!) holding on to her ankle to stop her crawling off, whilst she continued determinedly trying to head in the other direction. This really wasn’t the image I had of lovingly sharing books with my daughter. This phase did pass (thank goodness) but, even at her most disinterested, books that mooed, sang and generally made lots of noise when pressing buttons were still a winner. 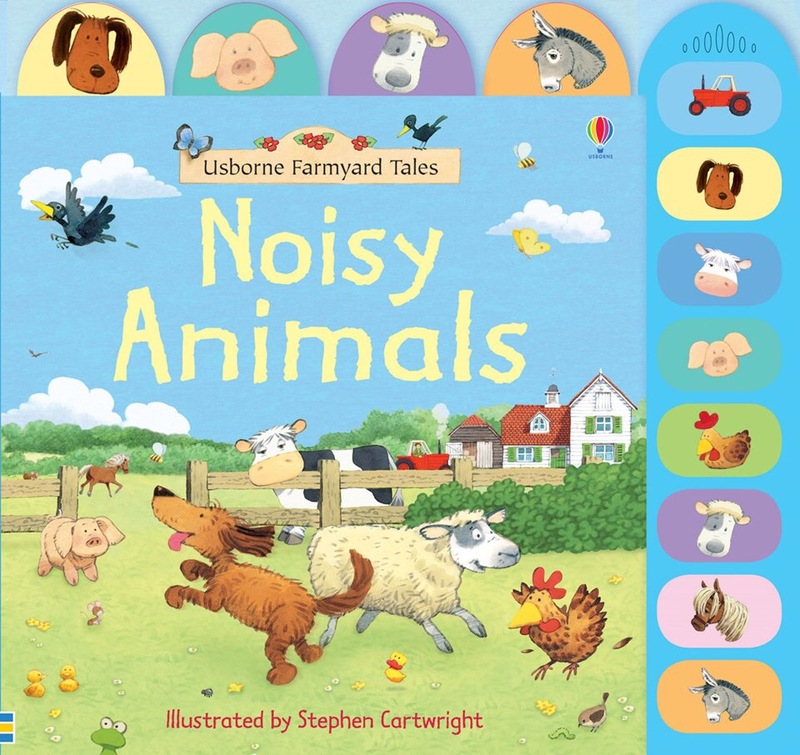 Felicity’s particular favourite was Usborne’s Noisy Animals, illustrated by Stephen Cartwright, which I’m pretty sure I now know by heart: ‘This is Mrs Boot with her children…’ And it is still loved even now she’s enjoying all sorts of different types of book. 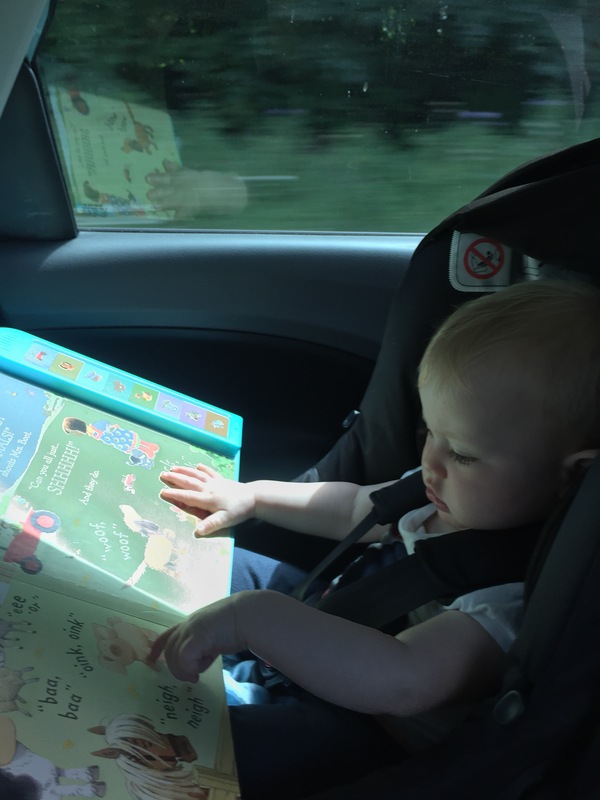 It’s entertained her on car journeys, pressing one of the noise buttons would attract her enough to crawl over to me even in the midst of mischief making and above all she would sit and look and sometimes turn the pages when nothing else could keep her in one place. It may not be the most beautifully illustrated or original children’s book (although finding the Usborne duck on every page is a classic of children’s literature in my opinion) but sharing it with her really did help us introduce her to the idea that reading books are fun, as well as allowing her to get an idea of how a book physically works by turning the pages and listening to us read the words.